Back-to-school season is the second-biggest shopping season of the year, with 29 million households across the United States planning to spend a total of $27.6 billion, according to deloitte.com. Ninety-eight percent of consumers plan to buy clothing, accessories and school supplies. 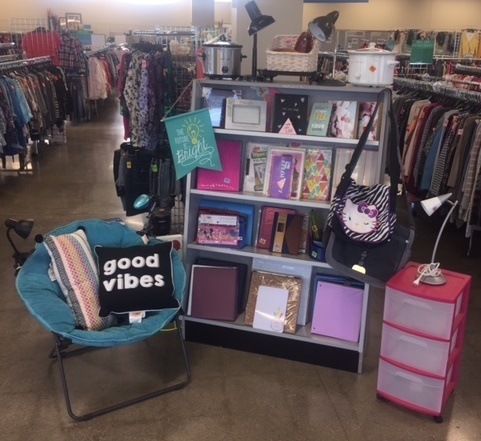 So, if you’re looking for great style, selection and price, Goodwill is THE place to shop for all your back-to-school needs for kids of all ages! A great back-to-school wardrobe can mean different things to different age groups. Usually mom or dad is helping their little ones pick out the best styles, but when kids get a bit older they become more opinionated­­—even when parents still hold the purse strings. When it’s time to head off for college, young adults are looking to find themselves and a style that’s all their own, so they’ll buy what they like according to their whims. I went to my local Goodwill and found a lot of things that are not only on-trend, but fashion-forward as well. I couldn’t picture everything, but I hope you’ll get some inspiration from my list and my photos! 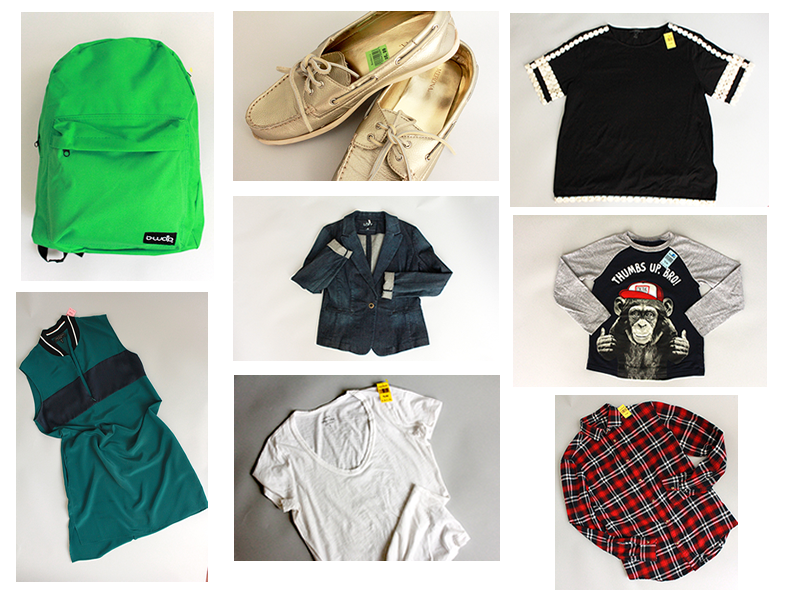 Goodwill is THE place to get a lot of fun wardrobe items for your kids—and maybe even yourself! Now is the perfect time to shop our well-organized stores, because you never know what you'll find, but I'm sure it will be AMAZING! Sharing a bedroom doesn’t mean you have to be matchy-matchy. 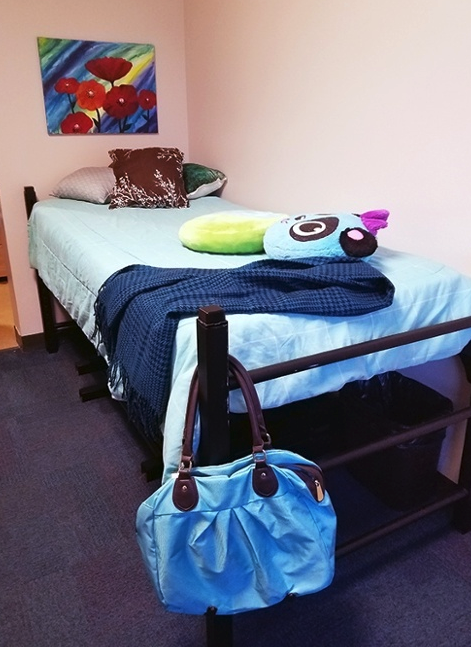 Talk color scheme with your roommate weeks before moving in. Once you’ve settled on a color palette, each of you should choose bedding and accessories that expresses your personalities. Don’t forget toss pillows just for fun and throws for chilly late night study sessions. 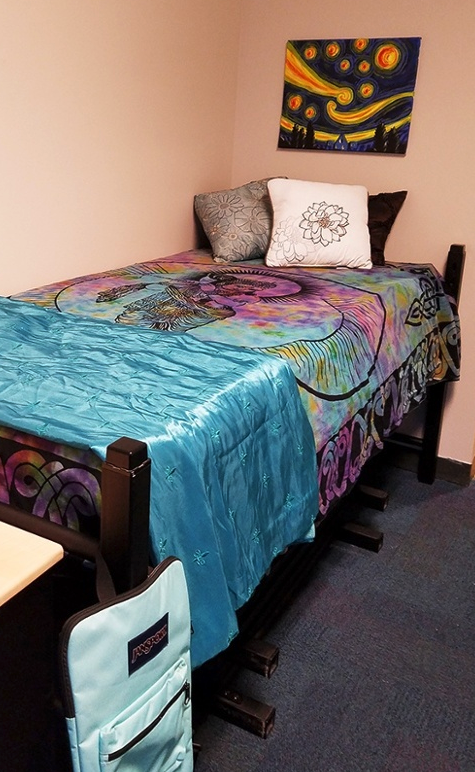 Each roommate should have the opportunity to display his/her personal items, art and decorations. 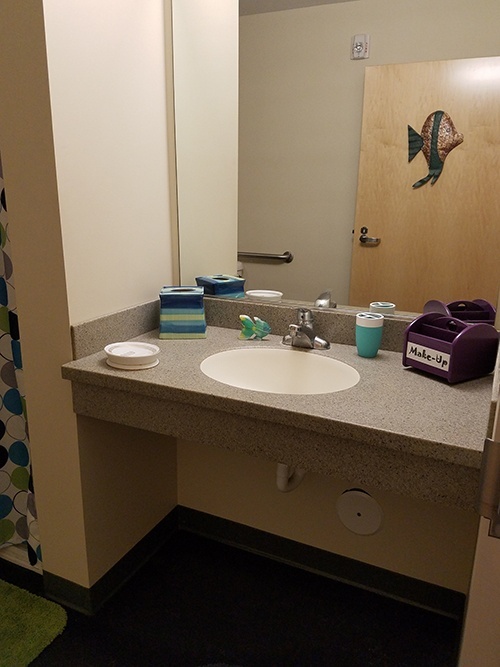 If you are fortunate enough to have a private bath in your dorm room make sure you coordinate with your roommates to personalize it. Add pattern and texture with a fun shower curtain, a bright rug and waste basket. Coordinate storage and toiletry accessories with the color scheme. 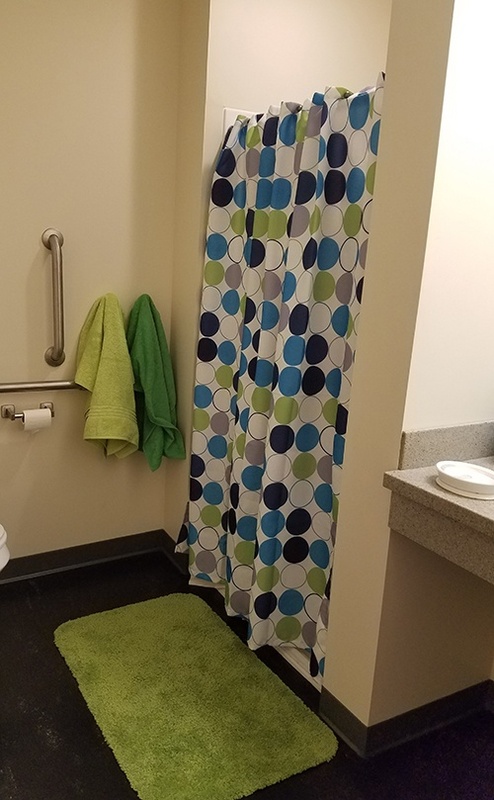 Keep things simple by having each roommate purchase towels and containers in different colors. 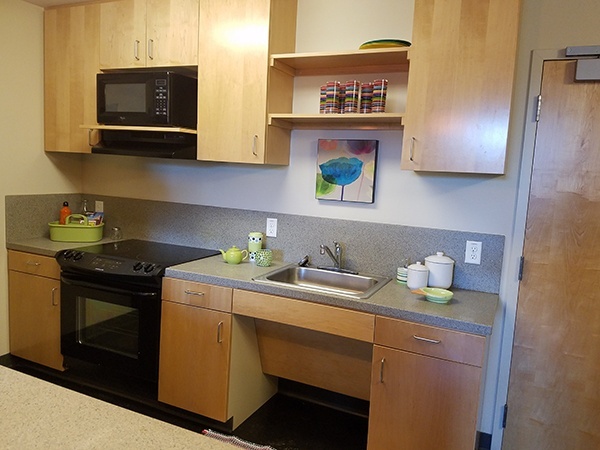 Carry your bed and bath color scheme into your kitchen and shared living space. Decorating is much easier when roommates talk in advance and choose a dominant color. Then add dishes and décor items in coordinating colors. Don’t forget to bring cleaning supplies and create a cleaning schedule. Beth Aldrich, the woman behind the book “Real Moms Love to Eat”, supplies her son with slices of turkey, cheese, green pepper, and bread or crackers in Ziploc® brand Snack Bags with mayo on the side—so he can self-stack his own sandwich. “Just making it is fun,” said Aldrich, who slices the ingredients into circles, squares, and triangles. “I use cookie cutters a lot,” says Steele, who cuts cucumber slices, bread, and cheese (she uses the remnants to make salad). To get the look in the photo above, use two types of bread (white and wheat, for example), cut your shapes, and fit one shape into the other. Now you’ve got a fun sandwich—with great taste and zero waste. As Steele said, PB&J can get old fast. But if that combination is a favorite for your kids, keep it fresh by making it in a tortilla, spreading it in pita bread—or even baking PB&J muffins a sweet and hearty treat for breakfast, lunch or anytime. 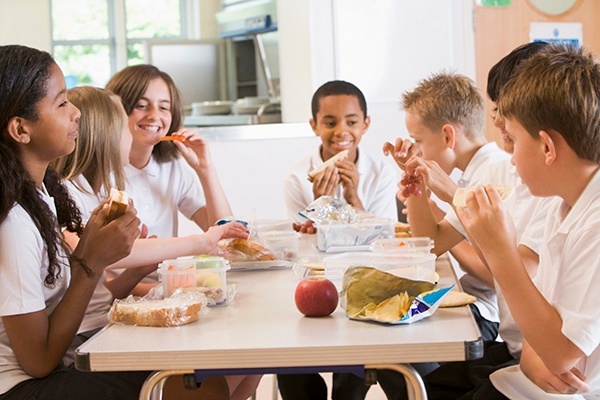 Kids enjoy a well-presented meal just like adults, so consider packing a lunch using a divided lunch container or bento box. They help keep contents cute and fresh throughout the day, not to mention that they’re functional, economical and eco-friendly. Our favorites are the rectangular Ziploc® brand Divided Containers. Sweet and salty chickpea snack mix, apple, chunky chicken peanut wraps. Steele says to use color to make meals visually appealing: “Kids love color,” she says. “It makes kids more interested in trying things out.” Cindy Richards of TravelingMom.com sometimes makes meals all in one color to get her kids to try new foods. Want them to try butternut squash? Make an orange lunch with the squash, plus carrots, oranges and cheese. Kids love to dip. Make lunch deliciously dippable by packing veggies with ranch dressing, chips with salsa, sliced apples with yogurt, or pita bread with hummus. Steele makes smoothies using Greek yogurt and honey, adding frozen fruit so there’s no need for ice when blending. Then she freezes the mixture and packs it in the morning so it defrosts on its own by lunchtime. Try this triple berry smoothie, which calls for frozen blueberries and takes only three minutes to make. Make ahead and freeze in a Ziploc® brand Twist ’n Loc® Containers. Aldrich sometimes adds a drop of blue food coloring to vanilla yogurt and inserts a toothpick with a triangular piece of paper (for a sail), and serves it with fish-shaped crackers. She achieves the same sea-faring theme with hollowed green or red peppers filled with egg or tuna salad, using a straw to hold the sail. “It’s a great visual,” she says. When the mood strikes, toss in a little note, joke, question, or game of hangman to play throughout the week. Your kids will love the surprise! For more fun lunch ideas and inspiration, check out healthy snacks on the go, kid-tested and delicious recipes, lunch-box specials, and 8 Ways To Get Kids To Eat Fruits & Veggies. Looking for more back-to-school fashion tips, DIYs and more? Visit our special Back-to-School section now!